SO! i've been looking for these sunglasses for like ever now. 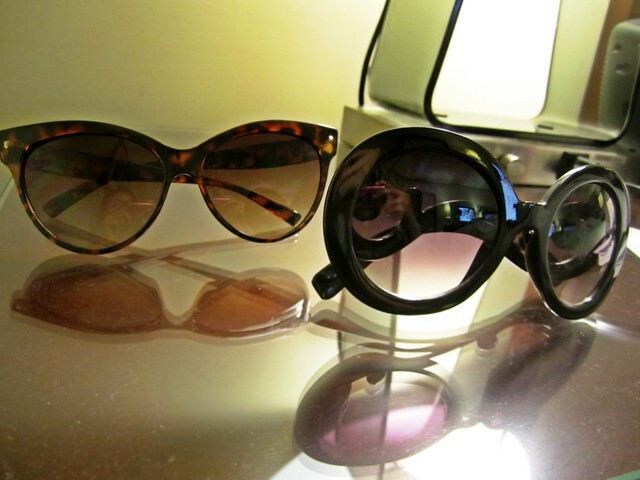 the cat eye and the uber mary-kate and ashley/nicole richie black bug-eyed oval sungalsses. i found these 2 amazing styles at the ocfairgrounds at an AMAZING deal! i love when you can stumble upon great finds at the most random place. tip: keep your eyes open for that one great find!